A WHC-TV Night to Remember! We are so excited to finally announce that our annual Take 5 Fundraiser is set to make a grand return for March 2, 2018! With food, fun and a fabulous auction, we’re planning to make it a fantastic evening for everyone! We can’t wait to tell you more about it. Also, we’d like to let you know that this site is now obsolete! All of the latest news and updates on the upcoming Take 5 will now be found on our brand-new Tumblr page: https://whctv5-take5.tumblr.com! Be sure to check our Tumblr regularly, so you don’t miss out! You can contact us with any questions at whctv5@gmail.com, or call our office at (860) 561-1260! We at WHC-TV would like to say thank you for making Take 5 a glowing success! It was great to see everyone who came and helped make the night as special as it was. We couldn’t have done it without you. The auction was spectacular, Bob Tomassone delighted with his fantastic musical stylings, and the night was as festive as can be! So with the utmost sincerity, thank you for helping to ensure a perfect evening. Make sure to check out our Facebook page for pictures of the event, and we hope to see you next year! Tonight’s the night – join us at Wampanoag Country Club at 7 PM for a night of music, food & fun at our Take 5 All-Access Party! Tickets are $50 before the event. Call 860.561.1260 or buy online at http://ow.ly/TK7o2) or $60 at the door. We can’t wait to see you there! For tickets, click here: http://whctv.org/index.php?option=com_content&view=featured&Itemid=159 Or call (860) 561-7955. Marriott gives gift of 1 night to Take5! Get away from it all! We at WHC-TV thank Marriott for their gift of one-night (and breakfast) at the Residence Inn in Avon. Bid and win this get-away night at Take5 tomorrow. But hurry, hurry. Take5 tickets selling fast. Call WHC-TV for yours. Or order online. What fun! 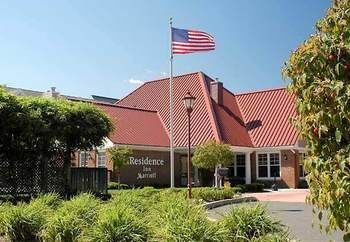 When you stay at Residence Inn in Avon, you’ll be in a family-friendly “aparthotel,” close to Schoolhouse No. 3 and Talcott Mountain Science Center. Make yourself at home in one of the 100 air-conditioned rooms featuring kitchens with refrigerators and microwaves. Enjoy complimentary high-speed Internet access, as well! If you can help as an underwriter, or wish to donate to the Take5 auction, please contact Jennifer Evans, WHC-TV executive director at jennifer@westhartfordCT.gov. Or call (860) 561-7955. We would be proud to have your support. Thank you. Ride the Fire Truck to School (or Back)! What a thrill! 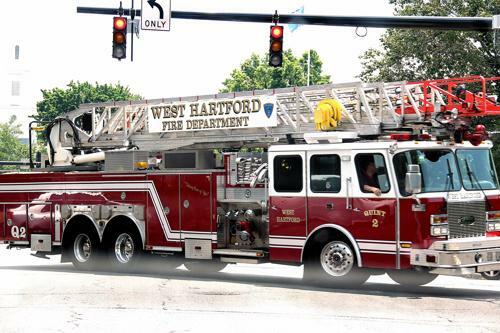 Picture your child (or grand) riding to school (or back) in a West Hartford Fire Truck. We at WHC-TV thank the Fire Department for this awesome gift and for supporting community television. Bid to win at TOMORROW’s Take5 auction. But hurry, hurry. Take5 tickets selling fast. Call WHC-TV for yours. Or order online. Add some zip! to your life. Bid to win 3 vouchers for The Adventure Park at Storrs. Awesome! This forested aerial park features zip lines, bridges & climbing challenges for all levels, age 5 & up. But hurry, hurry. Take5 tickets selling fast. Call WHC-TV for yours. Or order online. NY Jets fans lean in! Football fans, heads up! 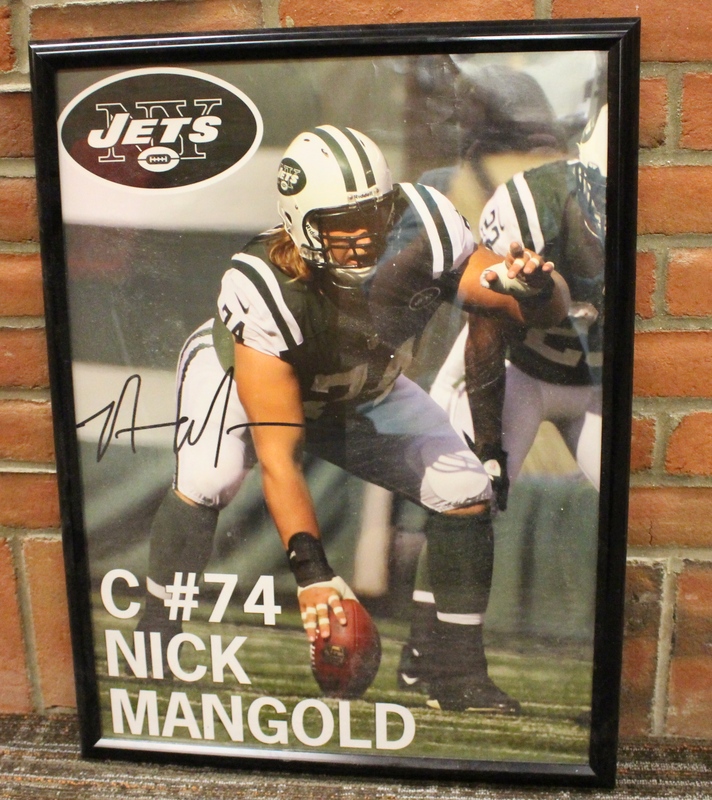 You can win this signed poster photo of New York Jets star Nick Mangold, #74 at Take5 TOMORROW night in support of community television. But hurry, hurry. Take5 tickets selling fast. Call WHC-TV for yours. Or order online.